Jan. 9, 2018 - Canadian Forest Industries Top 10 Under 40 contest is an annual tradition, drawing in nominations from coast-to-coast and recognizing young leaders in forestry. To individually acknowledge each winner and his or her contributions to the forest industry, CFI is featuring each of our top 10 winners of 2017 over 10 weeks. 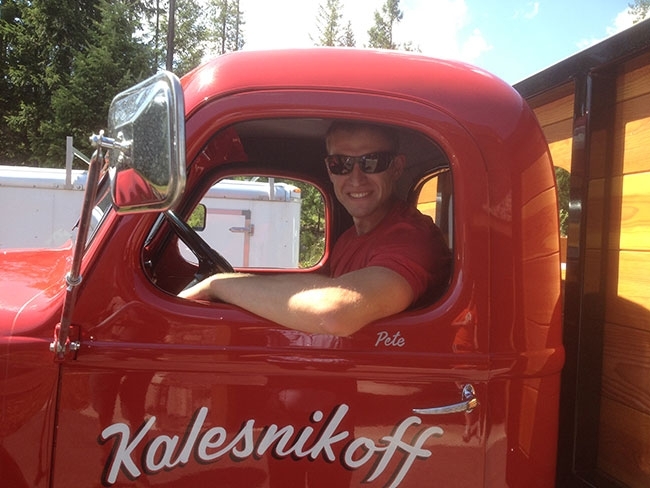 This week, we introduce our readers to Chris Kalesnikoff. He has come a long way from his younger days doing clean-up in the family mill, piling stackers and shovelling sawdust and bark. Today, at just 32, Chris is the chief operating officer of Kalesnikoff Lumber Company in Thrums, B.C. But his journey to the COO seat involved more than just learning to operate every piece of equipment in the mill. After high school, Chris received a business diploma in Medicine Hat, Alta., on a basketball scholarship, and then later spent a year at Queen’s University in Kingston, Ont., in their business program while playing basketball at the national level. “While his first love may have been sports, sawdust always ran in his veins,” Ron Corneil, Chris’ co-worker and coach explains. Chris returned to Kalesnikoff in 2008 to work as a front line leader in the sawmill. Two years later he took on responsibilities as operations manager and then in 2011 and 2012 led Kalesnikoff’s sawmill modernization project, the largest investment in the history of the company. He has since overseen upgrades to the planer and the installation of a new kiln. Chris’ other achievements include reducing injury rates to historical lows, formalizing a team-based work system to build on the company’s strong work ethic, and earning the respect of the sawmill team. “He is typically one of the first people to arrive at work and one of the last to leave. His open-door policy makes him accessible to everyone in the organization, regardless of the time of day or day of the week,” Corneil says. Stay tuned for next week's spotlight on Ali Zarei. And read last week's on Sean Dinsmore. File Week 2017 is coming your way!